Born on October 2, 1854 in Quanditten in East Prussia, Julius Guido von Usedom was a member of Pommeranian nobility. He joined the Imperial German Navy in May 1871 and he commanded a number of warships and gained significant overseas experience, particularly in the Boxer Rebellion of China in 1900-1901, where he was awarded the pour-le-merite. 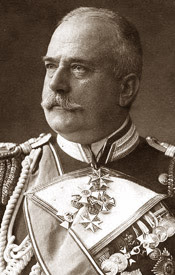 Admiral Guido von Usedom retired from the German Navy in 1910, however with the outbreak of the World War he was reactivated. Kaiser Wilhelm appointed him to lead a special mission that would assist the forming of the defense network of the Dardanelles. In Turkey, he was bestowed the rank of field marshall by the Ottoman General Staff. 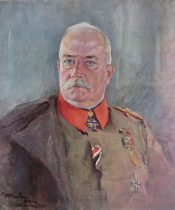 In August 1915, he became the Kaiser's adjutant general and he also worked closely with General Otto Liman von Sanders during the Gallipoli campaign. As a result of his services in Turkey, he was promoted by the German General Staff to the rank of full admiral, in January 1916. Admiral Guido von Usedom remained with the Ottoman Army until the end of the war, returning back home to Germany in November 1918. He passed away on February 24, 1925 in Schwerin.